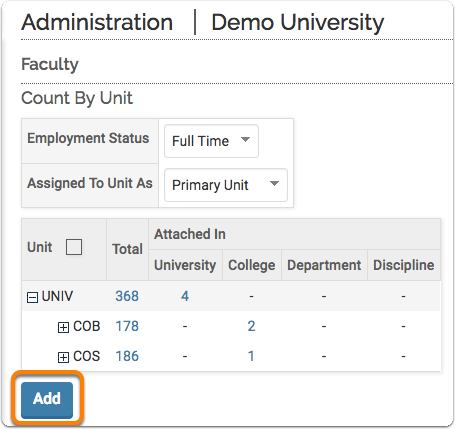 Faculty members can be added to FACULTY180 on an individual basis, as compared to performing a bulk upload, at any time. In addition, a faculty member's basic information can also be changed as necessary. On the navigation menu, in the Admin section, click the Administration page. Click Faculty in the Add/Edit section. The Faculty screen displays. Enter the details for the new faculty member. See Administrative Rights for more information on assigning administrative rights to faculty. Click the unit associated with the faculty member to be edited. The Manage Faculty screen displays. All faculty member of the selected employment status and unit are listed. Note that the field defaults to the Full-Time employment status. Click the Edit icon adjacent to the faculty member to be edited. 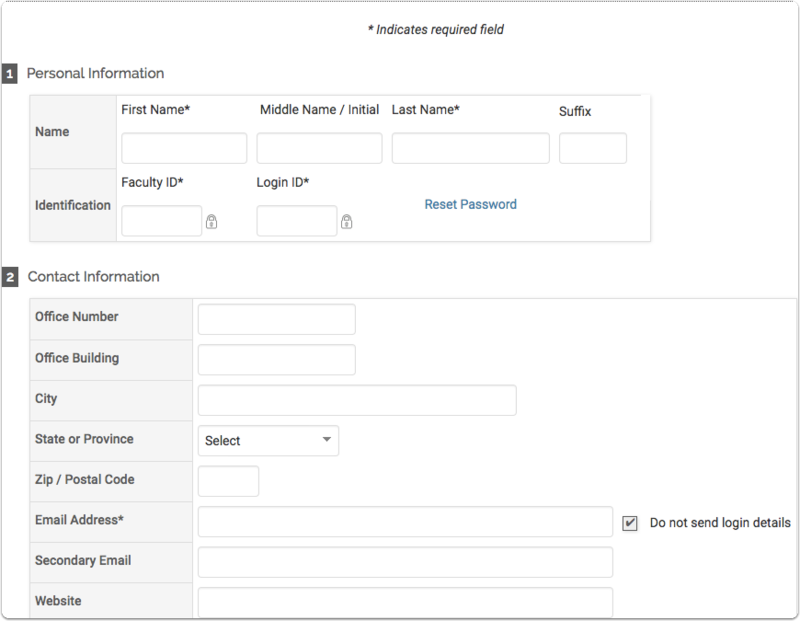 The Faculty Form screen for the selected faculty member displays. Make the desired changes. See Administrative Rights for more information on assigning administrative rights to faculty. If you would like to change the unit of a faculty member, you must have the proper administration privileges. 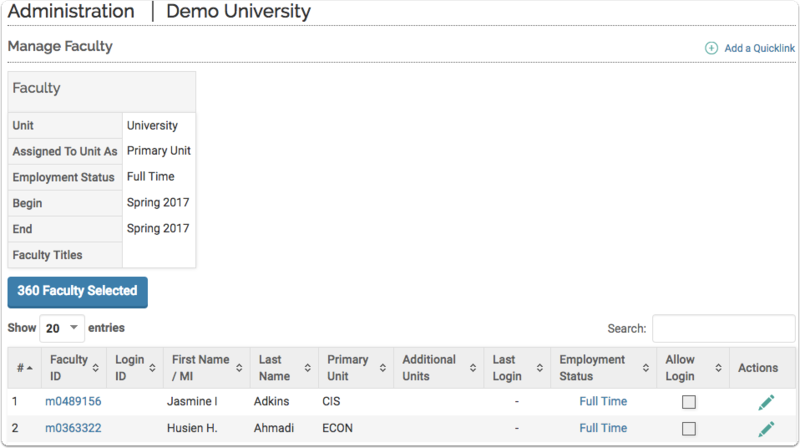 Then you are able to change the assigned unit on the faculty page. Click Save to preserve the changes made on this page.